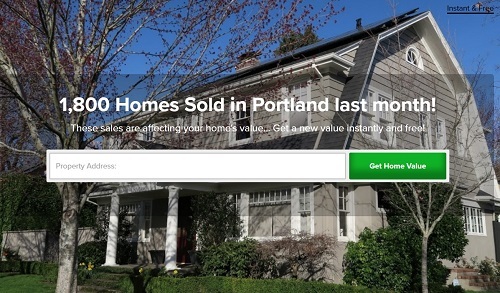 Search all Portland homes for sale on interactive map updated daily! Find new listings in your area of interest, by price, beds and baths, sq. ft. and school district, on a map of Pdx Metro area, displaying all the homes listed for sale on the RMLS in Oregon, courtesy of Keller Williams Portland Central. Thank you for visiting our website... We are a team of Real Estate brokers specialized in assisting home buyers and sellers in Portland, OR. 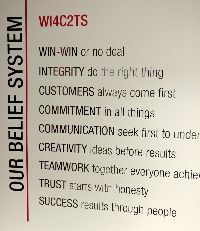 We work for you, our client, guided by the Keller Williams Realty belief system: win-win (or no deal), integrity (do the right thing), customers always come first, trust (begins with honesty) and communication. Our vision is to be the real estate team of choice, serving you in a way that would earn us your recommendation to friends and family. Dedicated search pages, by City, by Map, Zip Code, MLS# or House Number, school district. Results pages display listings with large photos, current price, $ per sqft, prop. tax, Walk Score and Google® Street View. Sign up for an account to receive New Listings and Price Changes. Free, unlimited use of available tools, such as area search, home values and saved homes list. We respect your privacy! Any information you enter is safe, we treat it with respect and confidentiality! Need more time to research the Portland Real Estate market? Buying a home is one of the most important financial decisions in life. It makes sense to research the local Real Estate market, various neighborhoods and areas, home types, home values and historical data. We're here to help in your search of more information, to send you a variety of property reports and market activity reports for each neighborhood, as needed. The buying process can also be a little intimidating, at least at first. It is our job, as your real estate broker, to explain the steps and timelines of buying a home and help get you started. For you to become more familiar with this process, we offer a short guide called the 8 Steps to Home Ownership. Feel free to save a copy and read it at your convenience. We hope it's a good conversation starter with your family members and friends. If you've found a home you really like and want to see it in person, please do let us know, it will be our pleasure to open the doors for you! Thinking of selling? Visit this Keller Williams page for an instant home value report! Do you own a home in Portland and are thinking about selling, or have to sell before buying your next? Just enter your home address and get an instant home value report! A market value analysis, including an accurate estimate based on comparable homes and neighborhood trends will be the next step, so let us know when ready and we'll get to work. On behalf of the team at Keller Williams Portland Realty I'd like to thank you for visiting this site! Keep exploring other resources here, such as the home loans and finance page, visit the featured Portland neighborhoods or just look for homes for sale, then let us know how we can help you. We'll be honored to get to work on your behalf!